Many families enjoy going on a spring break vacation. A vacation to a warm location is a nice reprieve from winter this time of year. 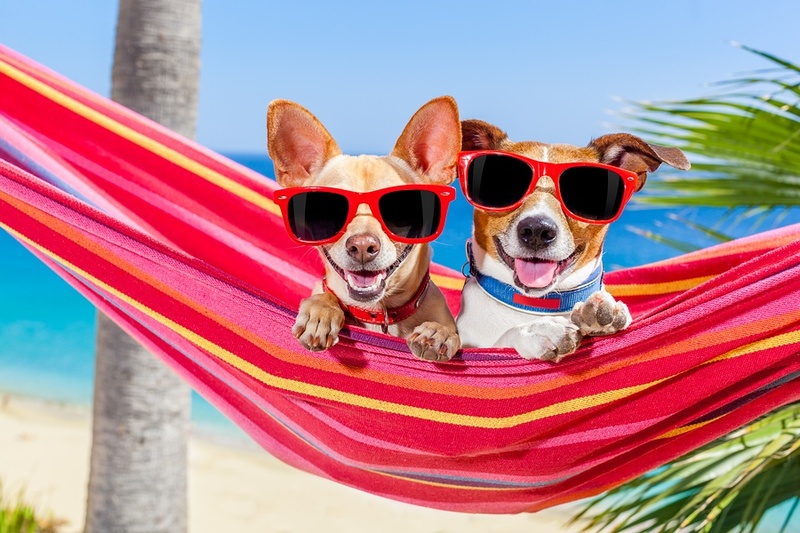 If you have pets, they may enjoy a vacation, as well. A warm weather destination, however may make travel difficult, resulting in them being left at home. Therefore, if you’re going away for a spring break vacation or a vacation later this year, here are some things to consider. 1. Think about your pet’s routine. A lot of time and energy goes into planning a vacation getaway. However, don’t forget about your pet. Start to think about their routine and what type of care would best suit them while you’re gone. Like small children, pets may need to follow a very specific routine to keep them happy and healthy. If your dog is social and loves other dogs, a kennel or doggie spa may be the place for them. If this type of environment stresses them out, it may be best to leave them with a friend or relative. Cats enjoy consistency. If you take them to a friend’s house, they may be stressed out the entire time and try to escape back to their home. It may be best to leave them at home and have someone stop in to check on them. 3. Familiarize your pet with their home away from home. If you decide to board your pet at a kennel or friend’s house, take them there for a visit and watch how they react. If the first visit doesn’t go well, take them there again to see if their comfort level improves. 4. Pack a suitcase for your pet. Since you’re packing bags for others in your family, why not pack one for your pet? Taking things that are familiar to them can make the transition easier. 5. Stay calm. When you drop your pet off at their final destination, keep the goodbye short and stay calm. I know this is easier said than done, but the more relaxed you are, the better your pet will feel. 6. Discuss treats with your caretaker. I remember going to my grandparent’s house and eating as many sweet treats as possible. Isn’t that what grandparents are for? To spoil us? If treats are a part of your pet’s routine, have their caretaker continue. If treats are not, be careful. Treats can help improve behavior and obedience in the short term, but can cause stomach problems if they’re not used to it. Discuss anti-anxiety medications that may help them relax while you’re gone. Here are some additional resources that may help.